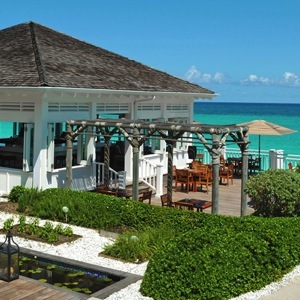 The One&Only Ocean Club in the Bahamas is known for its over-the-top beachfront villas. They’re glorious. They’re also $7,950 a night (and up), so they’re off limits to many families. But here’s a secret: the resort has two family-friendly cottages that go for much less (from around $2,000 a night during the regular winter season, and from around $3,000 a night during spring break and Easter travel periods). Not sure, actually. 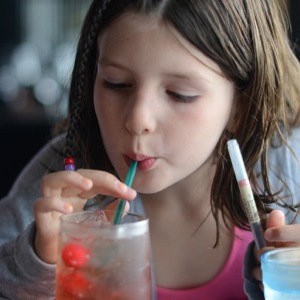 But Vongerichten’s on-property Dune restaurant welcomes children warmly with a kids’ menu (fancy versions of mac n’ cheese, chicken tenders, and the like), a Koi pond, and well-crafted Shirley Temples. On the more casual side of things, the resort is opening a new Ocean Pool Bar & Grill in about two weeks, alongside a brand-new 150-foot Ocean Pool. Expect burgers, salads, and beachy specialties like Soft Shell Crab Tacos. There’s More To Do Than Build Sand Castles. For starters, the cottages are located near the tennis courts and a fabulous zero-entry Family Pool. There’s also the KidsOnly club, open daily from 10am to 5pm for kids ages 4-12. The club is free; activities have a local bent (Bahamian story telling and crafting, coconut bowling). The KidSpa is open to children ages 4-12; a 50-minute Mother And Daughter Paradise Massage is $220 with VAT. The extravagant water-themed resort is just two hotels down the beach. You can walk there. There’s a shuttle, too, though it isn’t necessarily any faster. Either way, book a Mayan Temple Cabana near the Water Park. It’s worth the $350 day rate to have a safe deposit box, guaranteed shade, and a place to order drinks and meals (during the busy season, you can’t even find a lounge chair to put your things on). If you decide to try Dolphin Key, keep in mind the Shallow Water Experience is really a glorified photo op. To actually play with the dolphins, you have to spring for the Deep Water Swim. Tara Mandy served as the travel editor of New York magazine for 10 years and is currently the founder and publisher of Family Jaunts, StrollerTraffic, and the Cribsie Awards. She lives in Manhattan with her husband and two children.